The Sony Xperia P packs a special screen with WhiteMagic technology, which promises a lot of power-saving – up to 50% Sony says. But the other variable we need to consider here is the battery – and its meager 1305mAh capacity. So, the screen may seem well suited to display web sites (which are predominantly white) with its white subpixels, but the battery is smaller than the one on a Samsung Galaxy S, which came out two years ago with a similarly-sized screen and a single core chipset. 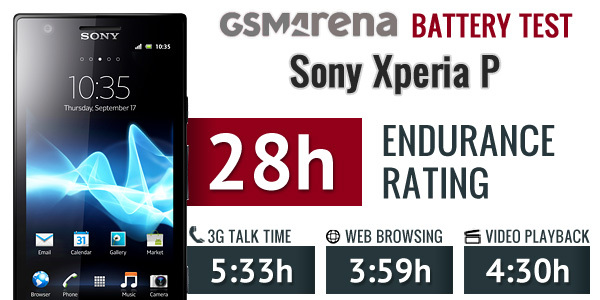 Official talk time numbers from Sony say the Xperia P will last 5 hours in a 3G network. Our test shows it will last a bit longer than that – about half an hour. Still, that result puts it near the bottom of the charts alongside power-hungry first-gen LTE phones. Web browsing was supposed to be the element of the Sony Xperia P battery-wise, but it turns out the smartphone failed to impress there too. The phone died just a minute before hitting the 4 hour mark (note that we do our tests over Wi-Fi with the screen at 50% brightness). If it’s any consolation, the HTC One S didn’t make it far past the 4 hour mark either. When it comes to video playback, the situation isn’t much different – the Xperia P lasted 4 hours and 30 minutes before its battery hit 10% (when we usually stop the test). That ranks it rather low on our charts too. 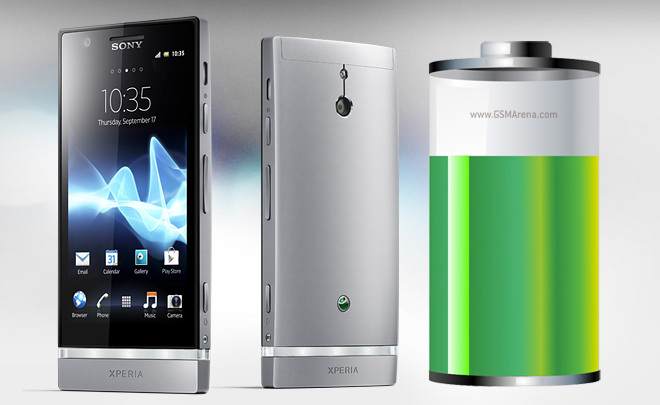 In the end, the Sony Xperia P will get you through the day if you talk for one hour over a 3G network, then watch an hour of video and then do an hour of browsing and you’ll still have charge left over. Actually you can go through a bit over 28 hours if that’s your daily usage. But the Xperia P isn’t a strong performer in any of our three categories, so heavy users will want to keep a charger or at least a spare battery at hand. On the upside, the Xperia P features boost charging, which means you can top up the battery very quickly – if you use the charger and cable it came with, you can get to 80% charge (the upper limit for boost charging) faster than with other devices.